Altadis U.S.A. is responsible for many of the world's most renowned premium brands. One of our best-selling samplers, the Altadis Mid-day Selection is finally back, and boy, do we have a heckuva’ time keeping them in stock - and for a very good reason. Mid-Day is a reasonably priced collection of some of the company’s most distinguished brands. This 7-pack selection features such notables as the Mellow Don Diego Privada No. 4, the spicy, and black Romeo y Julieta 1875 Reserve Maduro No. 4, the nutty tasting cedar wrapped Romey Julieta Cedro No. 4, and the exotic African leaf Montecristo Afrique Machame and one of our all-time classics, the H. Upmann Special Seleccion New Yorker. They could have easily stopped here and made it a five pack sampler, but since there are 7 days in the week, why not toss in the fabulous Cuban style Montecristo Half Corona, and the popular dark and zesty Onyx Reserve No. 4. Order the Mid Day Selection today, (while they are back in stock), and experience some of the best cigars that Altadis and JR Cigar have to offer! The Onyx was dark with deep flavor. Started off with slow draw but finished wonderfully and great to the last puff. Don Diego was a great cigar but milder than I prefer. Draw was great and even smoke throughout. The Montecristos were perfect little smokes that lasted longer than I expected. I never go wrong with Romeo & Julieta and these two did not disappoint. great sampler some of my favorites packed into a affordable package. All are great cigars and a great value. I haven't had good luck with the cedro in the past due to mold but now when I buy them I take off the cedar tube before I put them in the humidor and now i haven't had anymore problems with the mold. My husband was very satisfied with this sampler. I bought it as a gift as he likes mild to medium body and the variety is great- not too bold. Also, shipping was fast. Really nice sampler especially if you're not into the current big gauge fad. 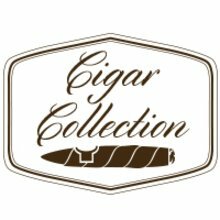 These are great cigars at a decent price. Perfect for times when you don't have time for an hour long smoke. Really enjoyed the various types of cigars. I'm a newbie in the cigar and this let me try alot of different kinds and the cost was right. Instead of going to my local cigar shop and paying $10 for one cigar, that I want sure I'd enough. I payed less than half that. Would buy again. Can't believe I had to throw the Monte away after a few minutes; it was plugged and smoked horribly. Disappointed. The others performed enjoyably as expected. Very nice selection of corona sized cigars. All major brands. Very mellow. Good construction and draw. Everyone one of these 7 cigars are well constructed and very well seasoned. How JR pulled off 7 of these on special for an amazing low price is mind blowing. What I really found special is all of this cigars are really close to true Cuban size. This is a must buy for any Cigar guy wetter new to the field, seasoned or a collector. They call it mid day for a reason, a very nice collection a very good cigars great for ride home from work. JR Cigar simply puts out great offers consistantly at a great price. This is a great sampler! Nice combination. This is a good deal if you want to try out some different smokes. The RyJ really surprised me with its flavor. I also enjoyed the half corona. This is a great sampler. These cigars are perfect for a midday smoke when you don't have a lot of time, but don't want to be shortchanged on quality.